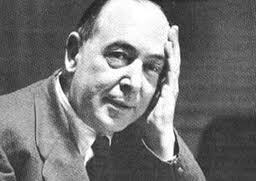 I just posted an article about C. S. Lewis’s book The Abolition of Man—which you can see on this blog. 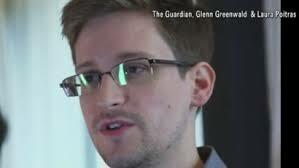 Then I watched the video interview of Edward Snowden, the whistle blower of the controversial Prism surveillance program run by the NSA. I won’t summarize all of the arguments of Lewis’s book, but he does set forward the thesis that new technologies that enable “man’s power over nature” turn out to be not to be the power of “man” generally, but rather the power of a few men over many other men. The technologies that Lewis had in mind in 1947 were such things as the airplane, the wireless (radio) and contraceptives. Today, no doubt he would mention computers, smart phones…and the internet. These technologies do in fact bequeath power—power that most of us enjoy, like the power of emailing a friend, or listening to The Brother’s Karamazov, or checking our bank account–all while riding a bus, train or taxi (and even on some airplanes). The power of these technologies are increasing rapidly, and while they may bless the man on the street, they also bolster the man at the bureau. We trust that our governmental agencies like the FBI, CIA and NSA use these great powers well, for our welfare and safety. If we ever suspect that they are using these powers to control, contain and condition the man on the street…well we become a bit nervous and edgy. The same technology that enables the NSA to track a potential terrorist, enables it to track me… a potential dissident. But our government wants (even encourages?) dissidence, or political free speech even of those critical of government policy. Right? They are, rather, not men (in the old sense) at all. They are, if you like, men who have sacrificed their own share in traditional humanity in order to devote themselves to the task of deciding what ‘Humanity’ shall henceforth mean. ‘Good’ and ‘bad,’ applied to them, are words without content: for it is from them that the content of these words is henceforward to be derived. It is not that they are bad men. They are not men at all. Stepping outside the Tao, they have stepped into the void. Nor are their subjects necessarily unhappy men. They are not men at all: they are artifacts. Man’s final conquest has proved to be the abolition of Man. Yes, but can’t we take solace in knowing that these power-holders are going to treat us fairly and well (certainly not as artifacts)? Surely, the great majority of people in these agencies will act for our good, or at least the common good. Lewis, I think, would qualify his answer. To those who hold to objective value (the Tao), we may expect some reasonable degree of benevolent treatment. But what should we expect from those who have rejected objective value? I am very doubtful whether history show us one example of a man, who, having stepped outside traditional morality and attained power, has used that power benevolently. I am inclined to think that the Conditioners will hate the conditioned. In Orwell’s 1984, the protagonist Winston Smith (after a great deal of conditioning) learns to love Big Brother, with tears in his eyes. But Lewis suggests that Big Brother never loves the little brother, the man on the street. Neither does Orwell. The man-moulders want to control, shape and produce a new humanity, what Lewis calls a post-humanity. This is a pessimistic note to be sure. Chesterton says somewhere that he may enjoy a lively dinner conversation with a houseguest who is a moral relativist; but he will still hide the silver at night. Can we trust the good people at the FBI, CIA and NSA? Are they good people? Are they even people? 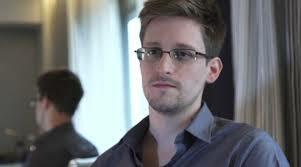 Finally, do we regard even Edward Snowden as good? If so, by what standard? Watch as most commentators call him either good or bad, but without appealing to any clear standard of objective truth or goodness. The testimony of Snowden himself doubles the irony, as even he does not appeal to any clear standards either. His view of the human good life seems to be the common “live and let live” as every man sees fit. Freedom to many American is now freedom to do as we please and create our own “morality.” Why can’t the folks at the NSA do the same? We all live by…impulse. I have no way of proving this thesis, but I think that roughly half of all American have rejected objective value, and we are the midst of living out the consequences of this rejection in a thousand ways. Could it be that half of the people working in the FBI, CIA and NSA are themselves without a polished moral compass? We may call for investigations and committee hearings and protest loudly, but until we return to the Tao, we will have no basis to criticize or demand reform. Instead we will pit the impulses of the man on the street against the impulses of the man with the power, with no doubt as to who will win. The Abolition of Man was first published in 1947, just two years after the end of the second World War, after a great deal of abolition indeed. 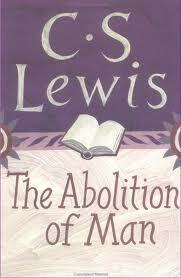 Lewis’ book, however, is not about man’s abolition by bombing and battles, but by grammar books and teaching methods. Eventually he does address propaganda (think Nazi propaganda) and conditioning as the eventual teaching method employed by a controlling state. 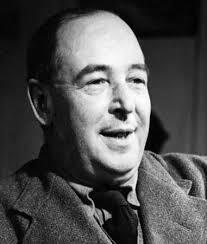 The Abolition of Man is one of C. S. Lewis’ smaller books. It is not, however, a small read. In this little book, Lewis seeks to swim upstream into a very brisk current, and one feels the pressure of that fight and the strong push against Lewis’s thought that exists everywhere today, as it did a generation ago when he wrote it. 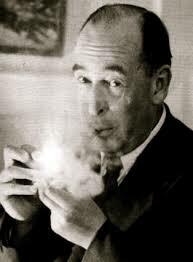 When I read The Abolition of Man—and I have read it some five times—I find myself in the water with Lewis, kicking for all I am worth. Then occasionally I feel myself sliding downstream, for modern thought about education and “values” has a pull on me at times. The essence of his book is straightforward: there is a real, knowable world with objects that merit our blame and praise. At one place Lewis calls this the doctrine of objective value, though he also uses “The Tao” for shorthand. How can that seemingly self-evident truth make for such a hard, brief book? Well for one this doctrine is attacked indirectly at every side so that we have been conditioned to resist it; secondly the denial of this doctrine leads to several ideas and practices that at first, don’t seem related, but in fact are. Finally this book is a hard read because we need its wisdom so much, but have employed it so little. Lewis makes a compelling case for cultivating the affections of our students, but we have largely taught our students the way were taught—too often encouraging our students to invent their own moral universe. Lewis makes an argument for objective value, not by quoting biblical texts, church fathers or theologians, though he could. He does not quote philosophers of aesthetics, though he could. He appeals rather to the universal consensus of the major world religions and moral or ethical philosophy. Though he is a Christian, he makes an appeal merely as a theist, pointing out that theists of all kinds recognize and confess that their exist objects in the world (like mountains, trees, sunsets, waterfalls) and real human qualities (like courage, generosity and self-sacrificing love) that merit our praise and accompanying emotions of gratitude, admiration and love. As well, the universal tradition recognizes and confesses that there are some objects in the world (like deformity and destroyed landscapes) and some human qualities (like thievery, lying and cowardice) the merit our blame and accompanying emotions of revulsion, anger and sorrow. If you assent to this doctrine of objective value, you may hold to it on rational grounds as you think about it just now. But isn’t beauty in the eye of the beholder? Do you confess (at times) “to each his own” and “live and let live”? Are not your reactions to many objects and qualities actually—your reactions? They may not be my reactions, for I am a different person than you with a different background, different training, different assumptions and preferences. We both see the storm approach and lightening strike. “The glory of God and his power!” you may say. “No soccer game today!” I may say. Are not “value judgments” largely (or at least significantly) subjective? If you feel the force of this suggestion, then you are in common company, first because we have all been conditioned to think that all value judgments are subjective and second because there is some truth to the suggestion (we all bring personal biography to our assessments in varying degrees). The truth in it, combined with our incessant conditioning (which distorts the truth in it) makes reading Lewis’ book a challenge for many of us. For a classical educator, things can get more complicated yet, when we read that classical tradition from Plato onward tells us that we must cultivate the affections and sensibilities of the young to love that which is lovely even before their age of reason. This is truly alien to our culture: we must train the emotions of children to love the good and beautiful and hate the bad and ugly. What? Isn’t this indoctrination? Isn’t this imposing our view of what is true, good and beautiful on someone else—and a vulnerable, impressionable child at that? Don’t we need rather to encourage the young child to seek out her own preferred good and bad things, find her own style of beautiful and even her own truths? How dare we stunt or destroy this child’s freedom to choose her values and become what she wishes! Well Lewis, Plato, Aristotle and Augustine all say that we should do precisely that. The true, good and beautiful are real and knowable and should not only be presented to children, but they should be encouraged to love the true, good and beautiful. Their emotions should be cultivated so that they blame and hate the false, bad and ugly as well. Are you kicking upstream? Slipping a little? Now note the related implications. If you accept the doctrine of objective value and you are a teacher, should you not regularly show forth what you regard as universally true, good and beautiful objects and acts? Should you not seek to “order the loves” of your students and exhort them to flee disordered loves for those things that are not true, good and beautiful? Is there anything beautiful in your classroom—or your manner of speech? Are you full of admiration and praise, and then in proper measure full of blame and critique? Or is everything you teach left in a mush for students to sort out and think as they wish? Because we have been conditioned to resist calling something truly lovely and then loving it, we often lack the courage to praise, extol, admire and praise. We also lack the courage to blame the ugly, despise the lie, flee the immoral. We have become humans without robust emotion, without conviction, without affections, without heart. In Lewis’s words, we have become men without chests. But the implications of the doctrine of objective values travel in another direction too. If one rejects this doctrine, what happens to education? How will we teach? Well wittingly or not, certain things follow, or eventually follow. If all value judgments are merely subjective, then we merely describe our feelings when we make such judgments—which amounts to nothing particularly profound. Thus when our student Susan says, “That horse is beautiful” she merely states that she has certain pleasant feelings when she looks at the horse, but says nothing objectively real about the horse. What this does to teaching we have all seen and experienced. Teaching to a large extent becomes a group exploration of our individual reactions, responses and feelings, often celebrated as our individual, autonomous freedom. Instead of celebrating something as universally lovely, we celebrate the individual, free student and his opinions; each child is a unique snowflake (just like every other student). What we don’t realize is how profoundly this view has affected us. Do you feel the current? Don’t we all want to tell our children they indeed are unique and wonderful? Aren’t virtually all their ideas to be admired and encouraged? Don’t you want to view your own ideas, inclinations and opinions in a similar way? We have been carried down this river for many years. If a teacher does not believe in object value, it does not mean that he won’t teach values. Lewis argues that the teacher who denies such values will in fact teach a very clear set of values—and they will be the prevailing values of “his set” the assumed values of the modern establishment of which he is a part. Even the denial of objective value is itself a value after all—a confessed common good. Lewis’ point is that all humans will hold to universal values—even those denying them. Such values will be hidden and assumed by such teachers, however. Lewis concludes his book, by pointing to an ominous implication of rejecting the doctrine of objective value. If there is no objective value, then our educators will eventually become our conditioners, conditioning us to states of mind convenient to the aims of those in power. It will employ pervasive propaganda and various forms of coercion. There is simply no other means of appeal to persuade people to a course of belief, action or behavior. If there is no objective value, and we are unique and free to feel as we wish, how will we ever act in concert toward the same ends? A million autonomous snowflakes will not drift into a civilization. If there is to be a cohesive society (without objective value) then it must be conditioned and forced. A state-sponsored indoctrination follows in which humans are manipulated into serving the state’s interest even if this means the abolition of the chest and heart of man, or the abolition of man himself. The subtitle of Lewis’ book is “How Education Shapes Man’s Sense of Morality.” We educators are indeed shaping the souls of humans beings, shaping them to love one thing or another. As we read, and re-read this profound little book, we should pay attention to the way in which our own poor education has shaped our sense of morality—our sense of what is true, good and beautiful. And since we are swimming against the current, we should do so together and kick, kick, kick. Are you reluctant to praise the true, good and beautiful before your students? What “hidden” values do you assume that come through indirectly in your teaching? What are the hidden values in your school culture and community? In what ways does the subjectivist view of morality linger in your teaching or school community?